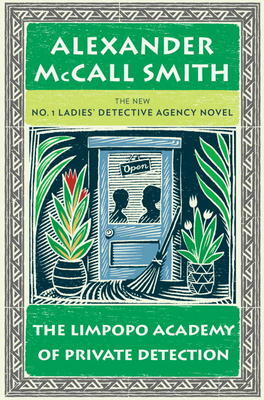 Alexander McCall Smith was born in a part of Africa that was a British Protectorate. His books are never political. He does however bring out qualities of generosity and humour of this country at its best. The new book is part of the No. l Ladies Detective Agency series (he has a number of other series, all of which he writes from his home in Edinburgh). His readers know and love the lady detective, Precious Ramotse and her family. In this story there are the usual complications from nearby neighbours. An unusual addition is the arrival of a tall stranger from overseas who turns out to have written the manual on detective work that Precious and her assistant use in their work. He helps right the injustice that Precious had been struggling with and in the process discovers something new about being a good detective. Like all McCall Smith’s books, this one is “charming and hilarious” – to quote The Seattle Times. Also pure pleasure for a holiday weekend.